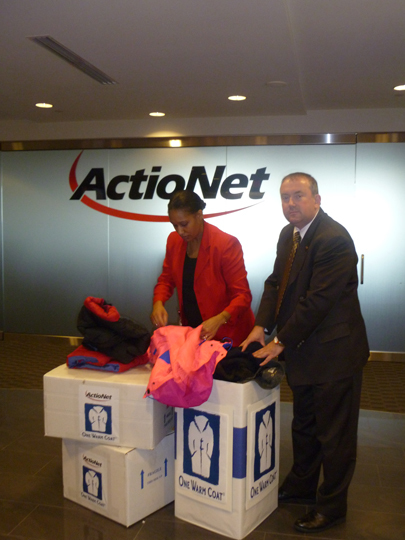 ActioNet collected clean, gently used coats and jackets as part of the One Warm Coat community service project. Coats of all shapes and sizes are welcome. 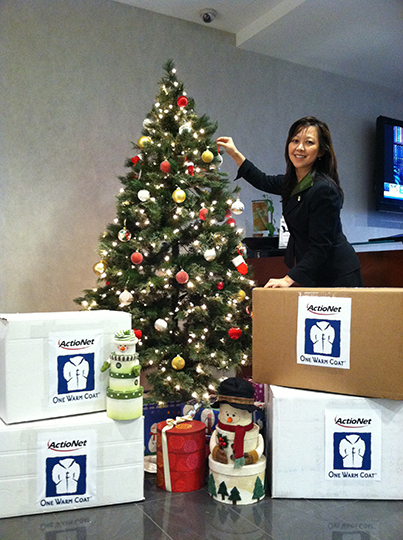 One Warm Coat is dedicated to distributing reusable coats, free of charge, directly to local children and adults. 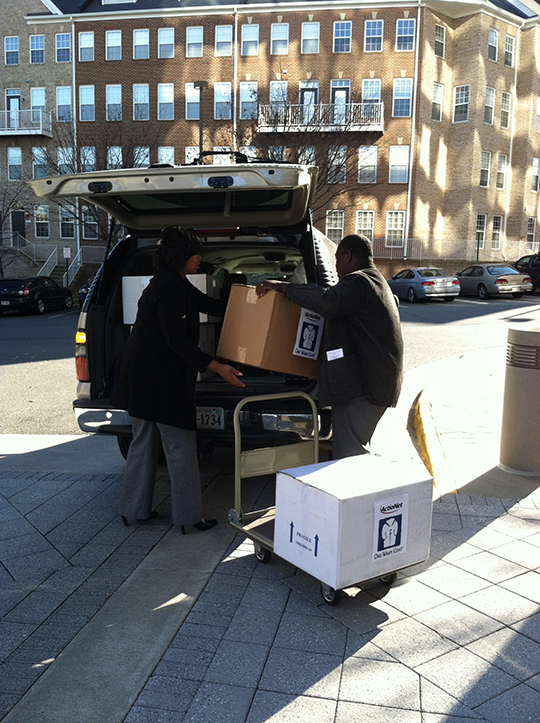 All donated coats will be given to A-SPAN (Arlington Street People’s Assistance Network) Helping the Homeless in Arlington for distribution to the community on December 3, 2011 and also contributing to the local shelter. 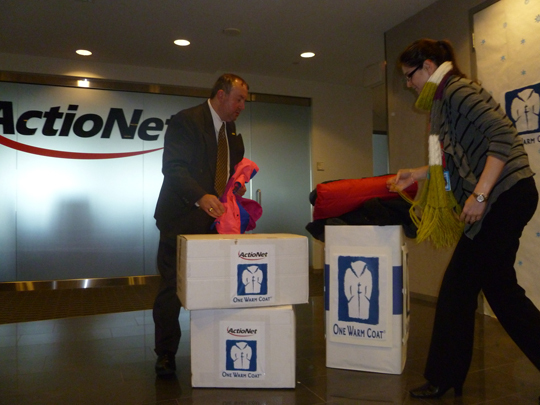 One Warm Coat is a national not-for-profit organization that supports and encourages the donation of coats. 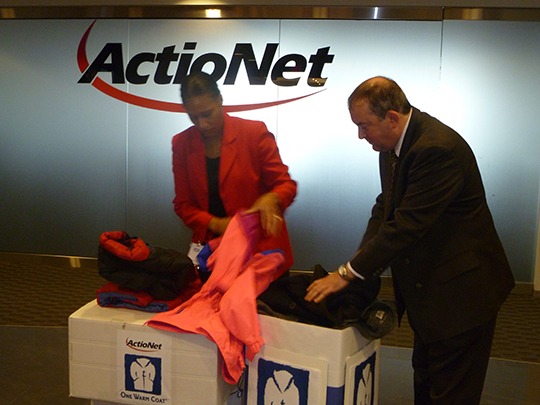 It helps individuals, groups, companies and organizations across the country collect coats and deliver them to local agencies that distribute the coats free to people in need. 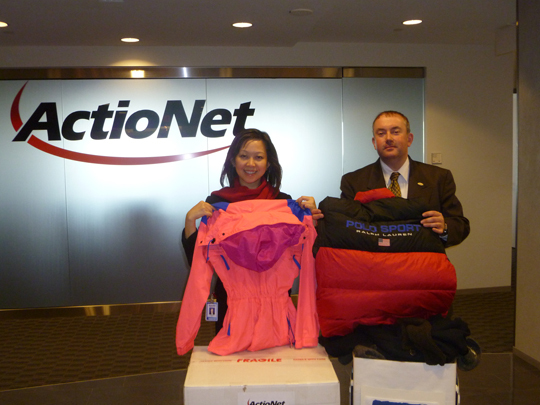 For more information, please visit the One Warm Coat Web Site at http://onewarmcoat.org/.